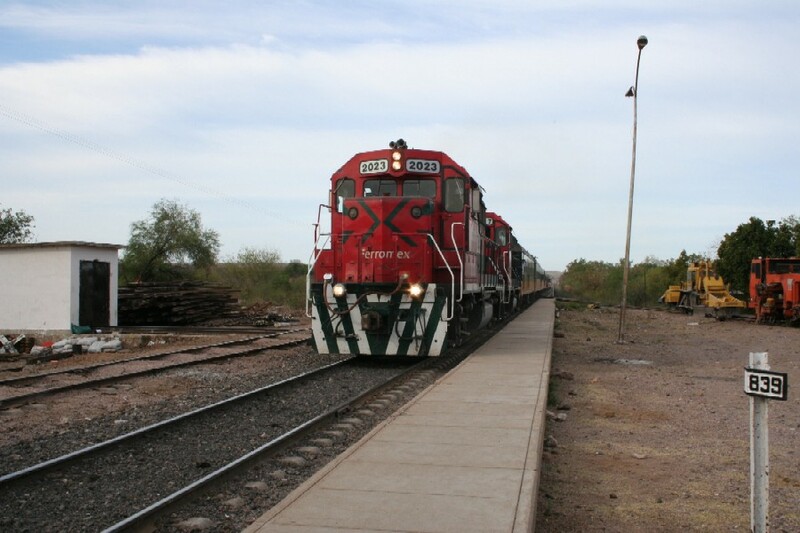 It’s morning in El Fuerte and we head down to the station and board the train for our trip into Copper Canyon. We pass by Ing Heriberto Valdez and Loreto Stations before crossing the bridge over Rio Fuerte. The next day we passed through Alamos where we toured a Pottery factory, took a walking tour of the city, visited the Old Church, a Printing Press factory, went up to the top of the hill to view the city from above (see below) and then toured the home of two retired fire fighters. We then started our travel to El Fuerte, Sinaloa which will be covered next.